Today we’re shipping a brand new browser experience and some cool new ways to make sharing files quicker and easier. We have great feedback about our OneDrive consumer web experience; it’s a proven web client used by millions of people every day. 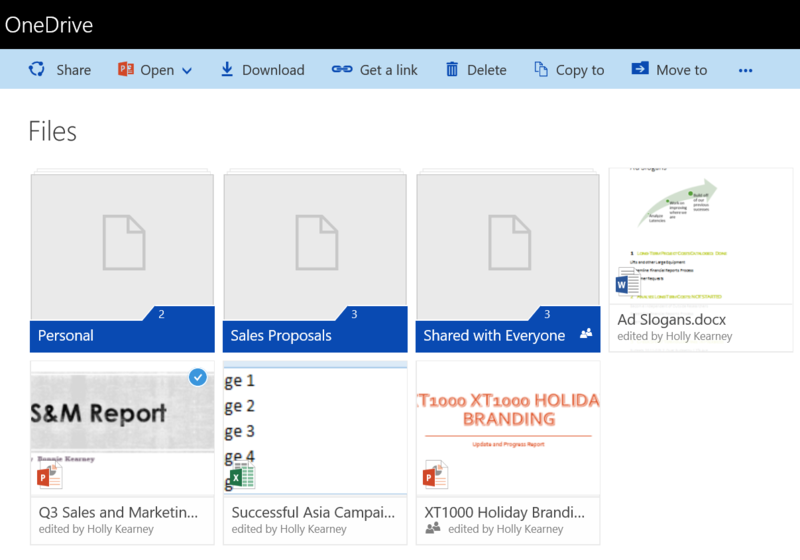 We’ve also had a steady stream of requests from our business customers to bring the consumer browser experience to OneDrive for Business. Well, today we’ve done just that! The new look and feel is clean, intuitive, and beautiful; the navigation is simple to understand and use, and you always have frequently used actions like upload, edit, and share just one click or touch away. We’ve also made it easier to keep your files organized with easy selection and drag and drop features that work just like folders on your PC. And power users will notice that familiar keyboard commands and right-click options make working with your files even faster. A highlight of the new browser experience is the ability to switch between a list and a preview tile view. The list view is optimized for information density and readability while the tiles view shows rich previews that make it easy to spot important documents or work with images or videos. From both views it’s easy to select one or more files with a click or a marquee select and then quickly organize your files by drag-and-drop just like you would on a PC. You’ll also notice the new command bar across the top of the page. This makes it easy to access common commands, and it’s also contextually aware so if you’ve selected one item or multiple items, the available actions change. For example, if nothing is selected, commands like New and Upload are visible, but after selecting a file those change to Share, Open, and Download. The new command bar and views also have a responsive design that dynamically adapts the layout to the available screen real estate. This means the experience will feel great whether you’re working on a large monitor or on a small screen device like a tablet. 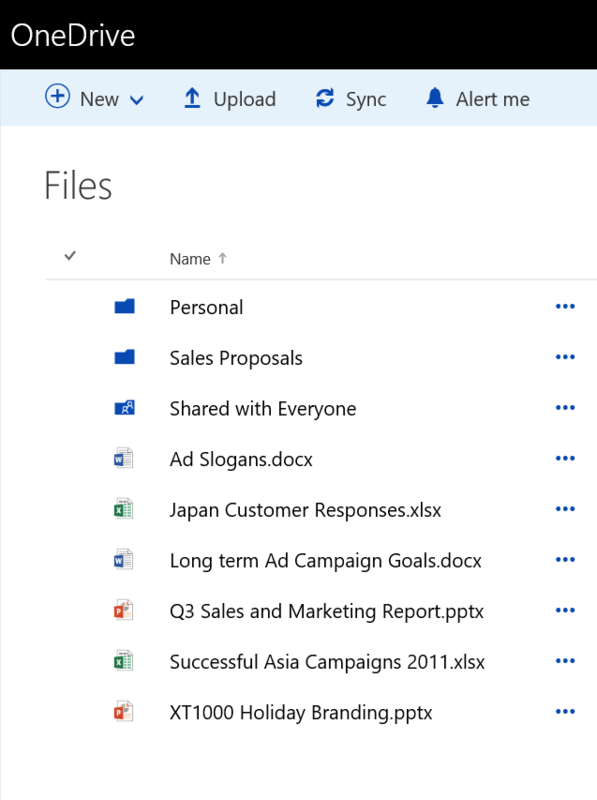 The new Details pane displays a wealth of information on a selected file or folder including a rich preview, who the file is shared with, recent activity on the file (by you or others), and standard metadata such as the path, type, and size. 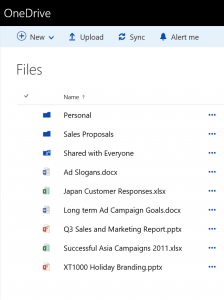 Clicking a rich document preview opens it with Office Online, and you can easily update sharing settings or get to the full version history of a file as well. We know how important is it to make file sharing easy while ensuring sensitive information stays safe inside your company. There are times when you want to be explicit about who can access a file or folder, but there are other times when you want anyone in your organization to have quick access to a file, too. 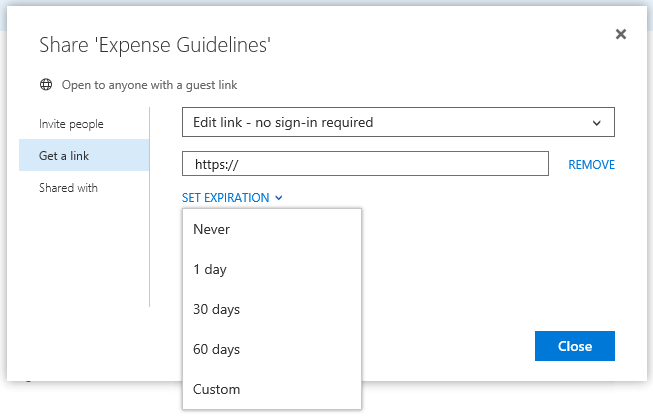 So we’re introducing the ability to create a link that can be accessed by anyone inside the organization without having to list those individuals in advance and without having to worry about the file getting shared outside of your organization. You can send this link to anyone internally who can then forward it to others as needed. You always have control of this feature, and you can remove the link at any time so that it’s no longer valid for anyone who receives it and clicks on it. In the example below, Holly works for Contoso and decides she wants to create a View link (read-only access). This link can be accessed by anyone inside Contoso who receives it and clicks on it, and the link is invalid for anyone who doesn’t have a Contoso account. We also know that you sometimes need to share a file with someone outside of your company, and that should be easy, too. So we are adding a new kind of link that allows access to a file for anyone who receives it, without having to sign in. And, if you are concerned about a file being accessible indefinitely, you can also set an expiration time for these links with just a click. The new browser and sharing experience has rolled out to all our First Release customers and will roll out to all customers soon. Users can switch back to the existing “classic” browser experience with a link on the bottom left of the screen. Eventually the “classic” experience will go away, but not until we’ve been able to listen to your feedback and ensure everyone is ready for the change. Additionally, IT can switch off default access to the new experience until they have evaluated it and prepared their preferred change management materials. 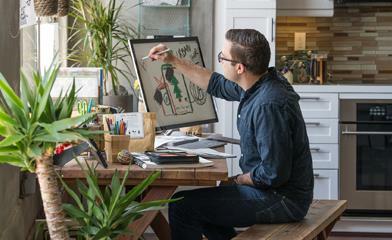 The new browser experience is just one of many enhancements we’re releasing today. Read about all of them here and please give us feedback and feature requests at UserVoice. 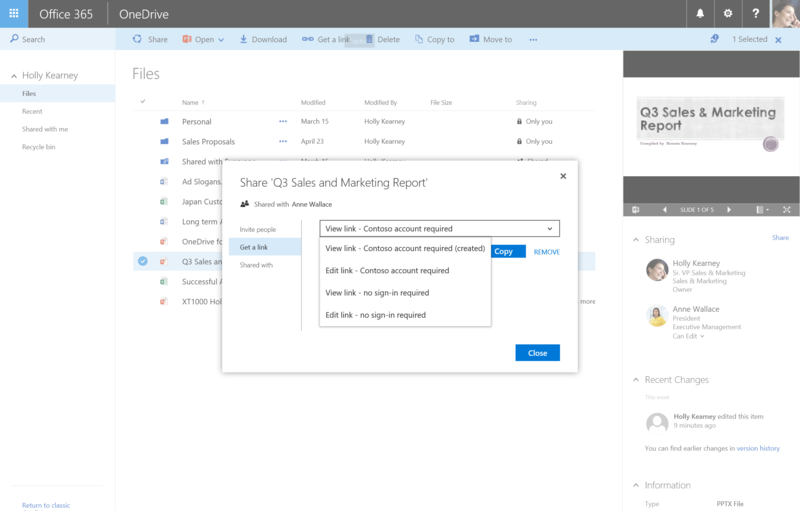 We’re just getting started, so stay tuned for more announcements on the future of OneDrive for Business!